First Alternative Natural Foods Co-op, 1007 SE 3rd St. and 2855 NW Grant Ave. Le Patissier, tucked away near Snap Fitness in North Corvallis, immediately reminds one of sipping espresso in a quaint, cozy French pastry shop. 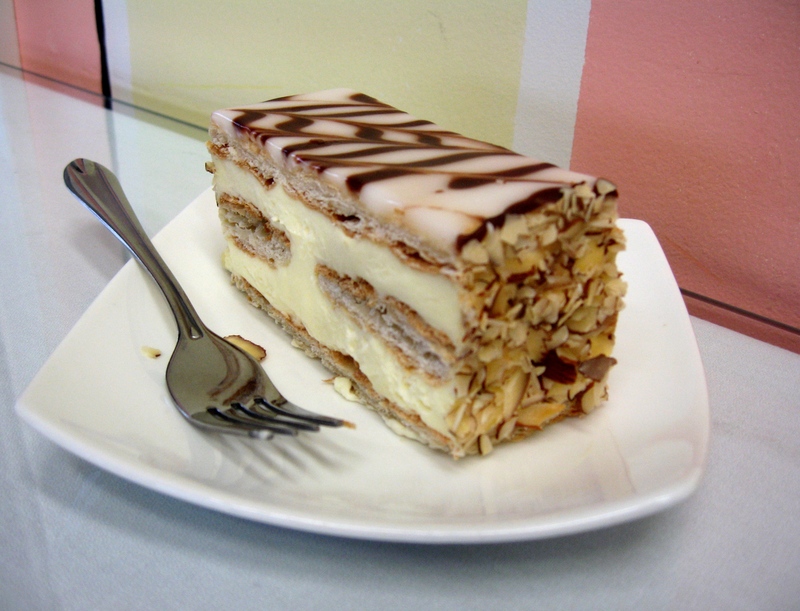 While it’s nearly impossible to choose from one of the café’s almost-too-beautiful-to-eat delicacies, the Napoleon is a hands-down local favorite. Hand-made with layers of crisp, fluffy puff pastry dough and mousseline cream, this pastry is topped with sweet fondant icing, and elegantly drizzled with chocolate. 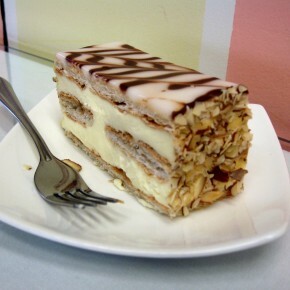 Le Patissier regulars say this is the best Napoleon they’ve ever had. 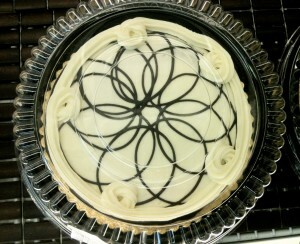 The scrumptious creation is best enjoyed if it is laid on its side; use a sharp knife. Bon appetite! Market of Choice, a supermarket with several locations in Western Oregon, may be primarily a grocery store, but they also make a crazy-good cupcake. 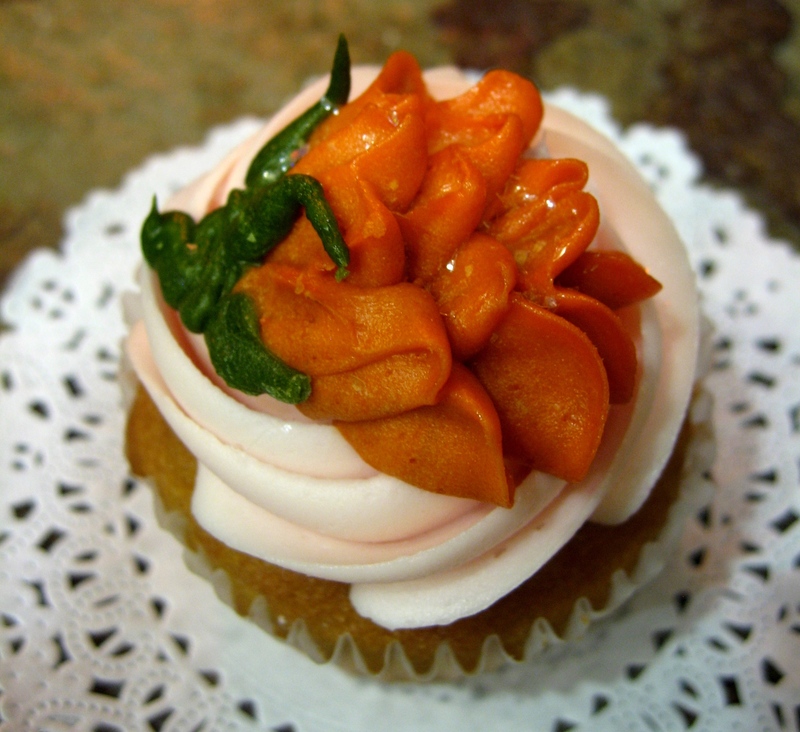 Baked in-house, Market of Choice’s cupcakes are a sight to behold—with lavish frosting decorations, from lovely floral designs to the OSU Beavers, they’re art in their own right. Oh, and they taste good, too! Made with pink champagne, a custard filling, and butter cream icing, this beautifully-decorated cupcake will satisfy both the aesthetic and the harshest cupcake critic alike. New Morning Bakery, 219 SW 2nd St.
Corvallis’ New Morning Bakery’s unique twist on the deliciously classic cinnamon sticky bun is an absolute must-try. 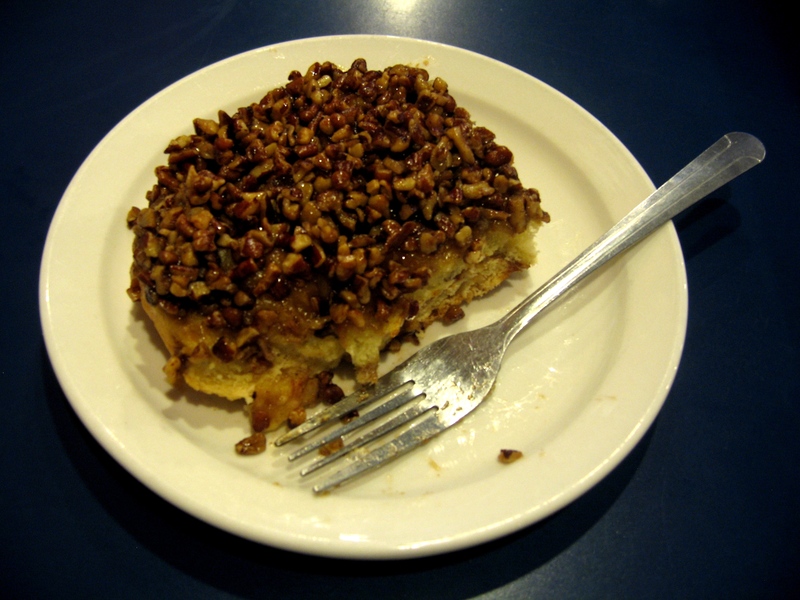 It’s not overly sweet, and the glazed pecans add a nutty crunch that makes this delectable sticky bun stand out in a class all its own. 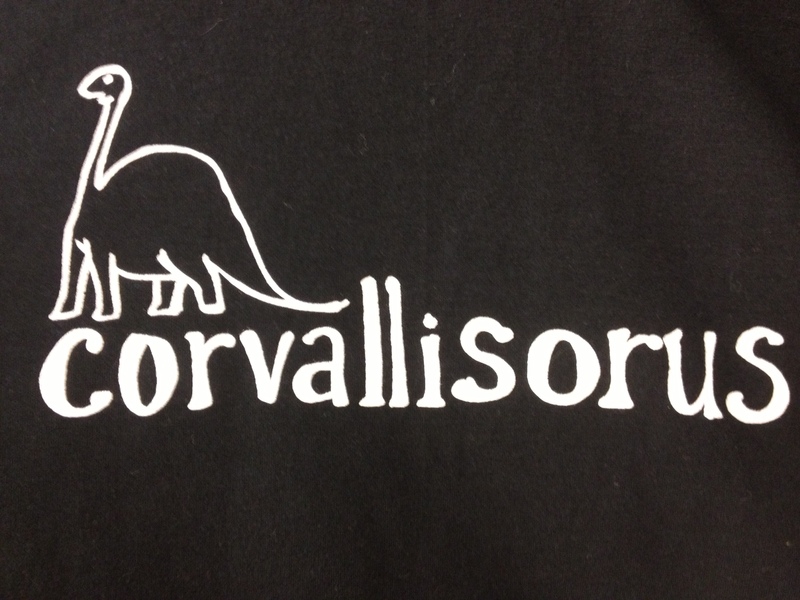 Try it with New Morning Bakery’s super-smooth Frangelica hazelnut coffee, especially on one of Corvallis’ dreariest rainiest days, and your mood will be wondrously lifted by one of the tastiest pairings in town. Even if you’ve lived all over the county, had donuts in multiple countries, and eaten breakfast at cafes on both of this nation’s coasts, you won’t find better donuts than the tasty confections at NutCakes Bakery in Philomath. NutCakes is a small family owned and run shop, and while they have a variety of innovative indulgences, their jelly-filled donuts are unbeatable. NutCakes absolutely does not disappoint and they recently rolled out a new unique treat, their glazed, filled donuts. 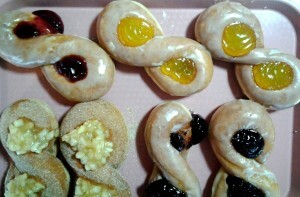 From a diced apple filling to delicious raspberry they have every kind of filled donut you could ever desire. Located in Philomath, the Woodsman is a Thai-American restaurant that boasts a large and varied menu. On one of its last pages, down near the bottom are listings for dessert; do NOT pass on one of the tastiest local favorites: the Purple Rice with Custard. The rice is baked with coconut milk into a sort of thick rice pudding. Its texture is nice and chewy without being gummy and the coconut milk lends just enough sweetness to the dish. 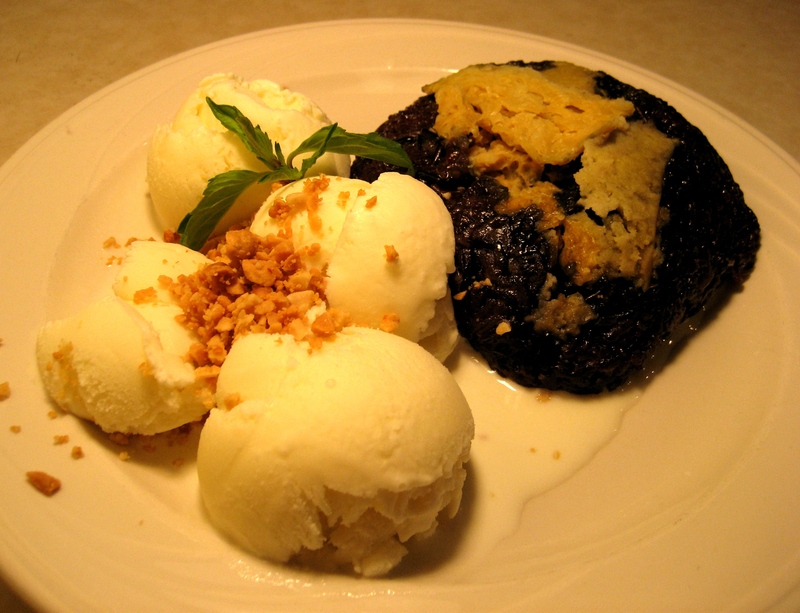 Accompanied by scoops of their homemade vanilla ice cream and topped with crushed peanuts, it is absolutely delicious!